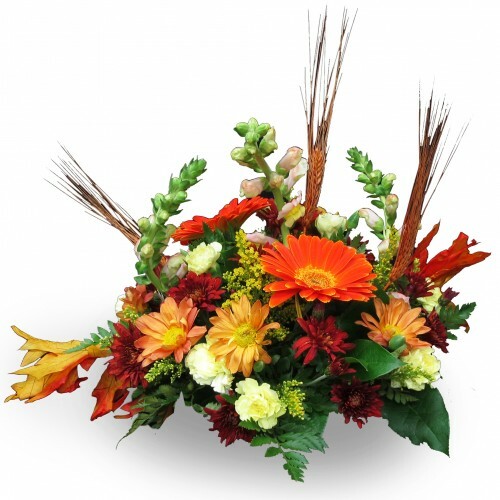 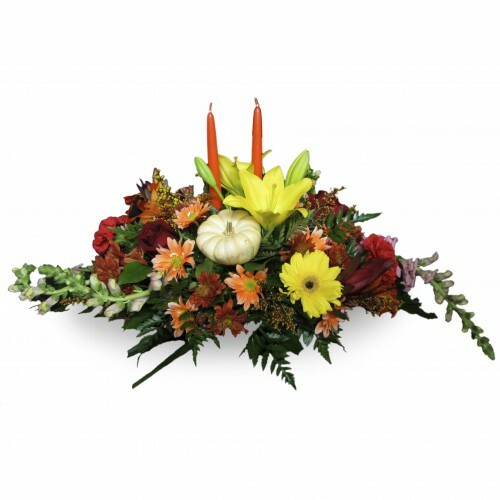 This arrangement brings a whole lot of character to fall. 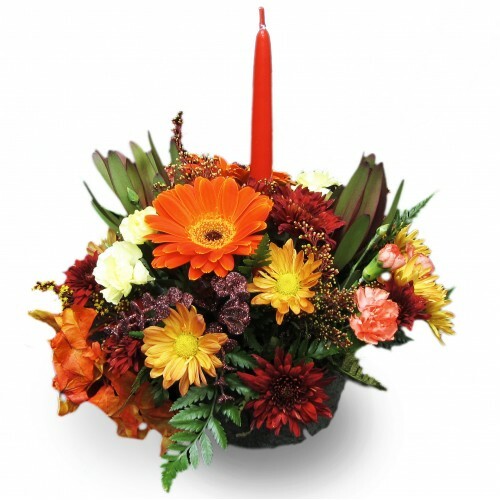 Thirteen Gerbera Daisies, seven Snapdragon..
Our "Thankful For You" arrangement works as a perfect centerpiece for the Fall season. 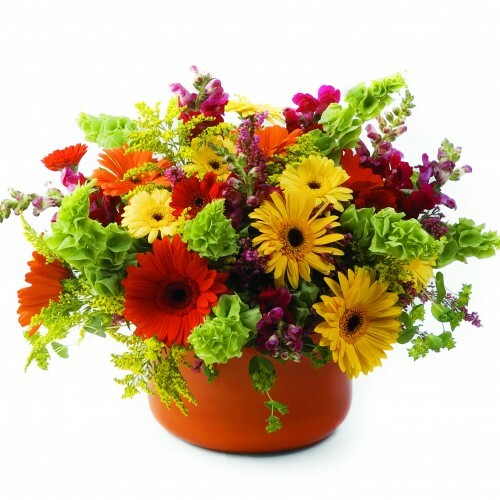 Included are .. 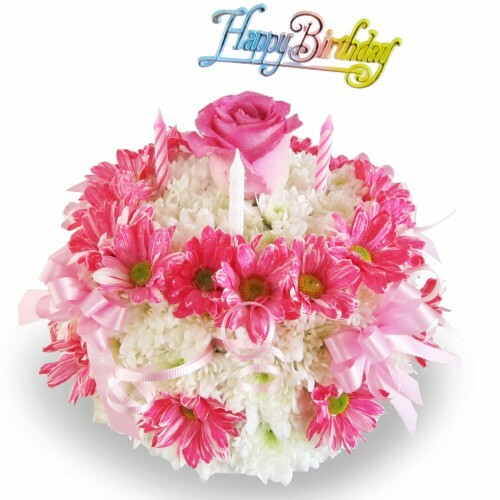 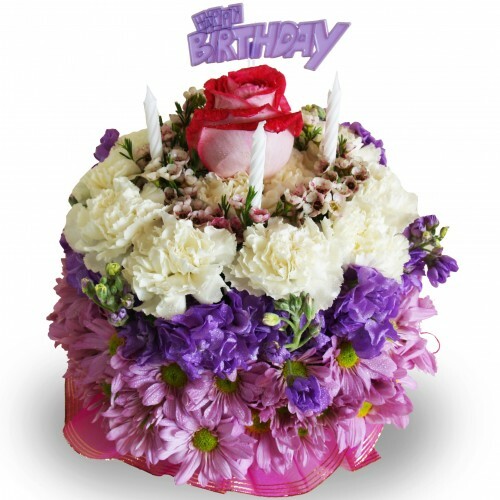 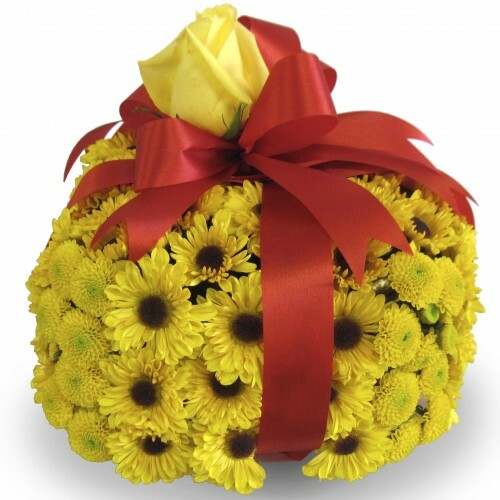 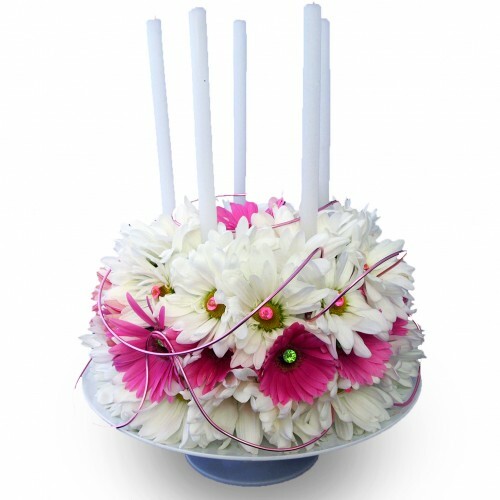 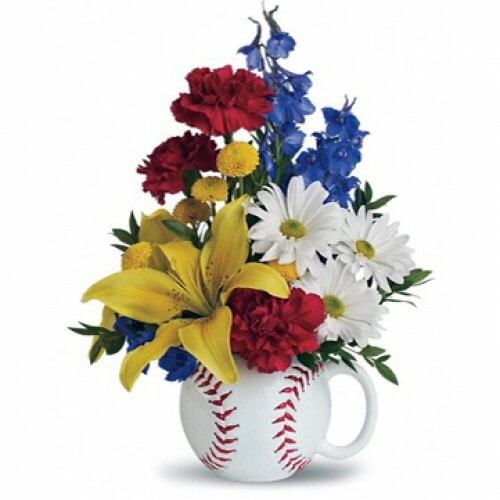 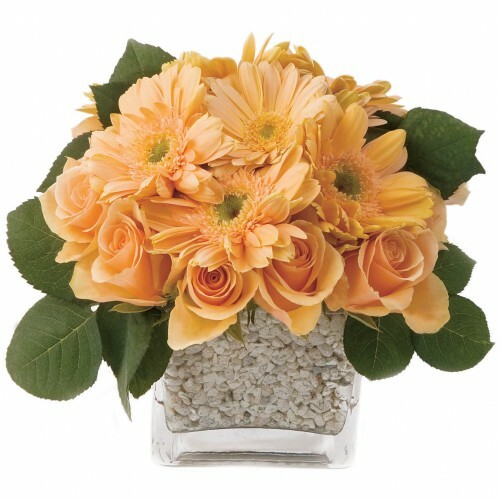 The perfect gift for any baseball fan, our "Take Me Out to the Ball Game" floral arrangement comes w..
A dozen peach Roses and Gerbera Daisies are set in a rock vase in our “Peaches N’ Cream” arrangement..